The family have enjoyed a bowl of soup to whet their appetite for the feast to come. Mum has been working hard in the kitchen all morning to produce the biggest meal of the year – time to enjoy turkey, roast potatoes, and all the trimmings including the stuffing. But what is happening in the kitchen? Little Vicky in her festive antlers looks excited, Mum looks ready to faint and Aunty Pam is less than impressed. Try to imagine that you are Mum, what she can see is the scene that you have to puzzle. 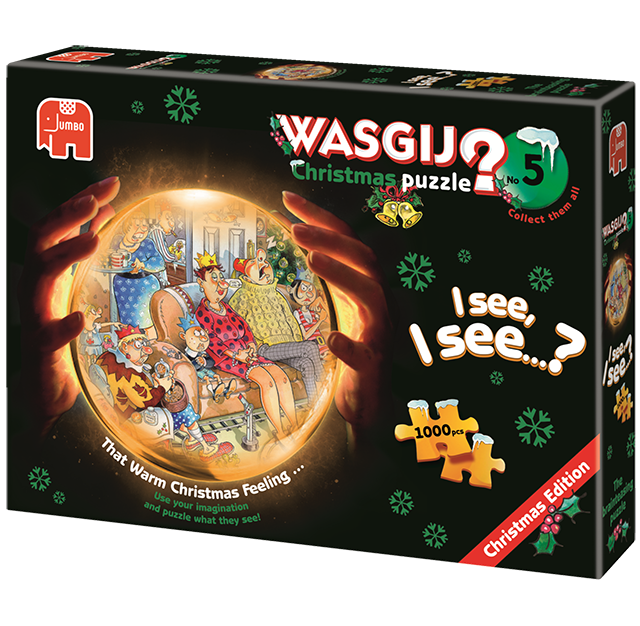 Use your imagination and the hints provided on the jigsaw box to work out what has happened.